Premium foundational products to support the body's ancestral biology such as Nascent Iodine and detox clay. Used as a detox bath or foot soak to help draw toxins from the body through the skin. 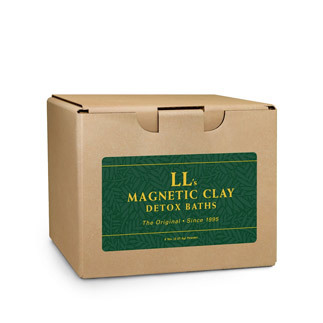 The suggested amount of Magnetic Clay is 1/2 to 2 cups in the foot bath for 10 to 40 minutes. For chronic and acute illnesses, always check with your doctor and use smaller amounts and then gradually work up to 1 cup for approximately 20 minutes. Healthier people might start with 1 cup for 15 or 20 minutes, and gradually work up to 2 cups for 40 minutes. Never have the water temperature over 40°C. Foot baths can done every 3-4 days. Full baths can be done every 5-7 days. Used to help support thyroid health. Each drop contains 400mcg of iodine in a base of certified biodynamic grape alcohol. Take one to two drops per day or as directed by your healthcare provider.